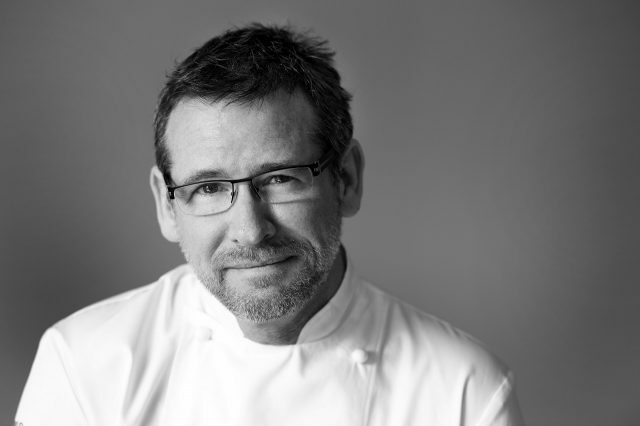 Renowned Scottish chef Andrew Fairlie, chef patron of his two Michelin-starred restaurant at the Gleneagles Hotel, has died aged 55 following a long battle with a brain tumour. Fairlie was first diagnosed with a brain tumour in 2005, and in November last year, stepped down from his position at his two Michelin-starred Restaurant Andrew Fairlie after revealing the tumour was terminal. Announcing the news yesterday on Twitter, his father, Jim Fairlie said: “It is with enormous sadness and grief that Kay and I announce the death of our beloved son Andrew. His wife Kate and his family have kept vigil with him for some weeks. He slipped away quietly this morning but his many achievements and memory will live on”. In a later post he said that he was “totally overwhelmed” by the response to his son’s death, adding: “Every child is special to their parents but to know Andrew was also special to so many gives Kay and I great comfort. Thank you all so much”. Born in Perth, Scotland, Fairlie started his career “polishing glasses” at the local Station Hotel, aged 15, before moving to London to work with Keith Podmore at Boodle’s. Five years later in 1984, he became the first winner of the Roux Scholarship and later went on to judge in the competition. His victory gave him the chance to train under Michel Guerard at three Michelin-starred Les Prés d’Eugenie. This was followed by stints at top restaurants both in France and the UK before Fairlie returned to his motherland to take on his first head chef role in 1994. Heading up Glasgow’s One Devonshire Gardens, he won his first Michelin star, at the time, the only one in the city. In May 2001 he opened Restaurant Andrew Fairlie located within luxury hotel, spa and golf resort Gleneagles. His classically-inspired dishes were rewarded with a Michelin star just eight months later. From then on, the awards just kept coming. In January 2004, the restaurant was awarded a coveted fourth AA rosette, with a second Michelin star arriving two years later. Over the years Fairlie has been named AA Chef’s Chef of the Year, Relais & Chateaux Grand Chef and Drambuie Scottish Chef of the Year. He appeared on television programmes including the BBC’s Saturday Kitchen and Masterchef, and cooked for world leaders including the Queen at the G8 summit at Gleneagles in July 2005. Head chef of Restaurant Andrew Fairlie, Stephen McLaughlin, and general manager, Dale Dewsbury, paid tribute to their colleague stating that they were heartbroken by the news. “Our thoughts go out to Andrew’s wife, Kate and his family. Our sadness is matched only by our tremendous pride in all his achievements, and our thankfulness that we had the opportunity to share in his life and career,” they said. Fellow Scottish chef Tom Kitchin said that “Scotland has lost one of its best today”, while Nick Nairn added that his legacy would be “enormous”. “I think it is almost impossible to overstate the loss to Scottish cooking,” he told the BBC. Michel Roux OBE said that Fairlie “was like a son and to our scholars and judges, a brother,” adding that the Roux Scholarship “would always carry him with us and his precious legacy will endure”. London-based chef Clare Smyth called him a “true gentleman and a great mentor” while Nottingham’s Sat Bains thanked him for “being a shoulder, a leader, a friend and a legend”. Scottish first minister, Nicola Sturgeon added: “Andrew is gone far too soon, but his achievements will always be remembered and his legacy will inspire the next generation of world class chefs. It was a privilege to know him”.